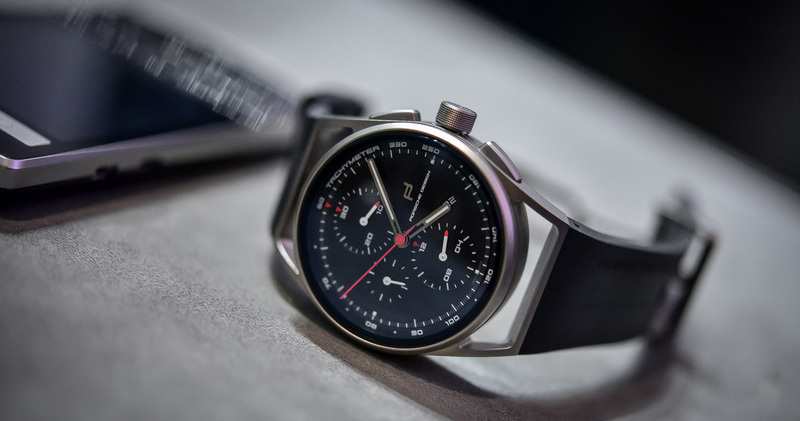 Ever since Porsche Design has taken matters more into its own hands, after relying for decades on other watch companies to build watches for them, I’m warming up to the collection even more than before. 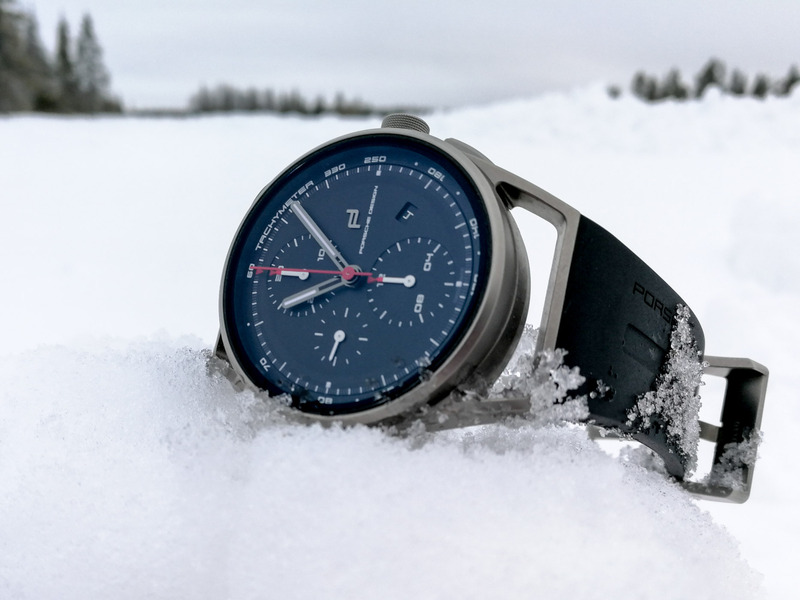 I’ve always been a bit of a fan of what these Germans, related to that eponymous car brand, have been doing in the world of watches. 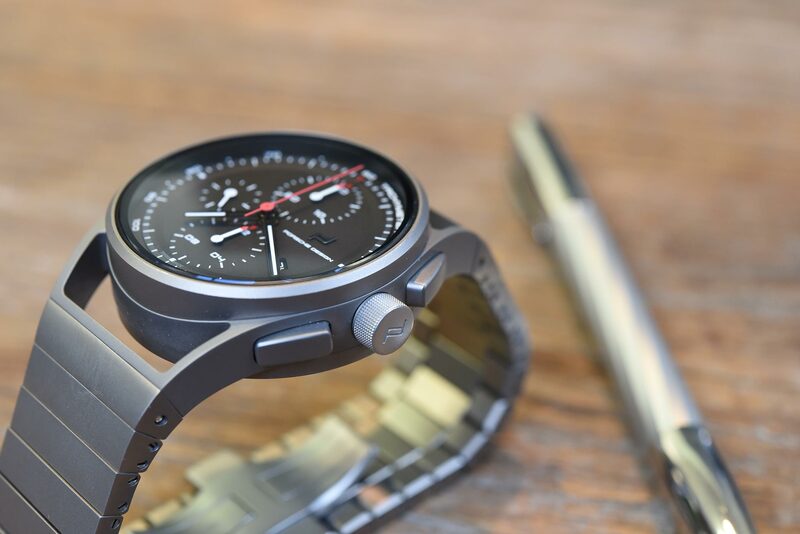 The very first titanium chronograph, the very first black wristwatch, and even a watch with a built-in compass. I love it. 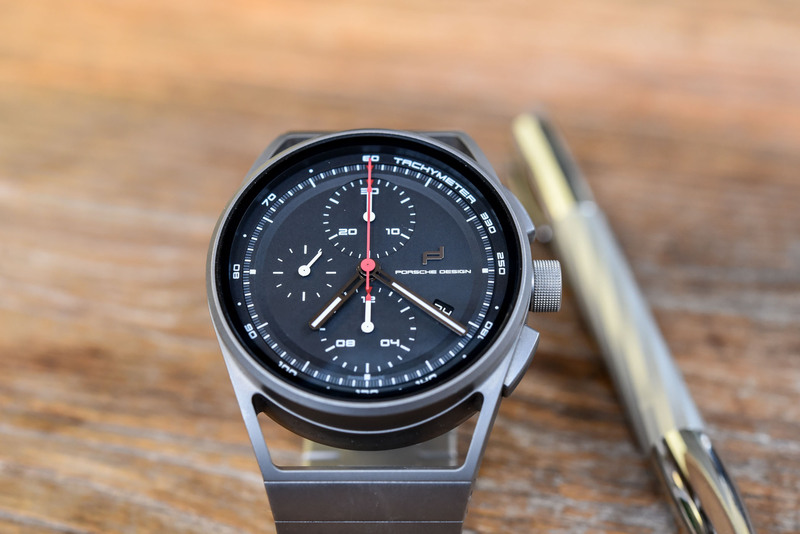 When Porsche Design launched the 1919 Chronotimer, this time assembled in-house in Solothurn, Switzerland, we immediately asked to do a review of the Porsche Design 1919 Chronotimer on the black rubber strap. 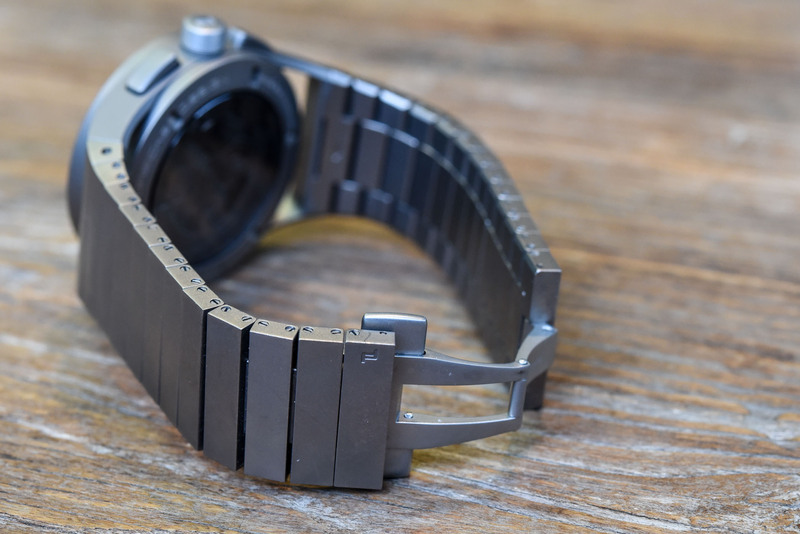 Recently I’ve had the good fortune (read on to find out why…) to do another review of that watch, now on the titanium bracelet. 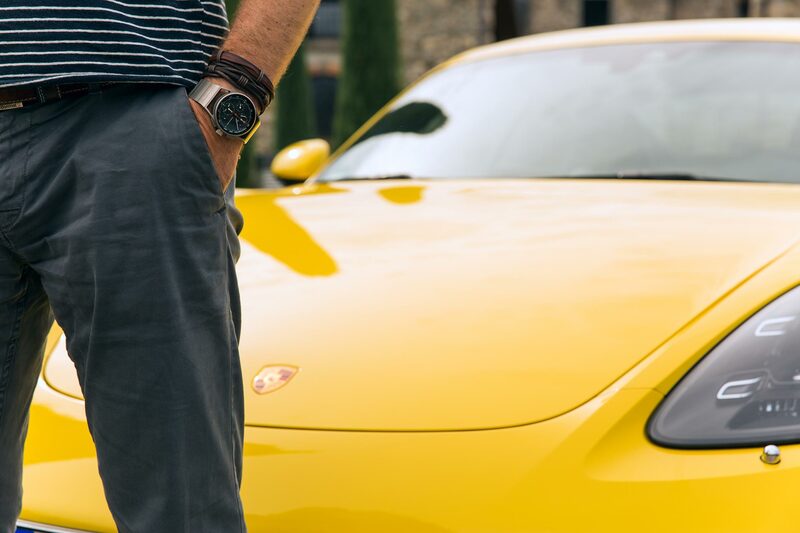 Whether form follows function – Ferdinand Alexander Porsche’s fundamental idea when designing – or not, the 1919 Chronotimer is just such a nice watch. Comfortable, easy to read the time, a solid crown that offers enough grip to unscrew and wind the movement or adjust the time, large pushers for the chronograph function, enough luminescent material on hands and markers to ensure great legibility during the darker hours of the day. It all adds up to be a very appealing, well-finished, well-designed and functional time-telling companion. 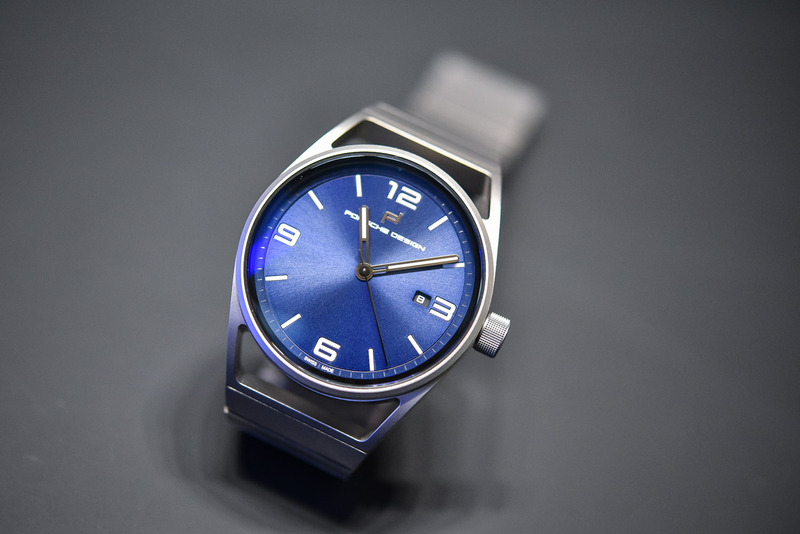 Add to that its cool and sort of fly-under-the-radar looks, the rather intriguing design of the barrel that holds the movement and the ‘holder’ with lugs, and a competitive price…in my book that makes it well worth a serious look. 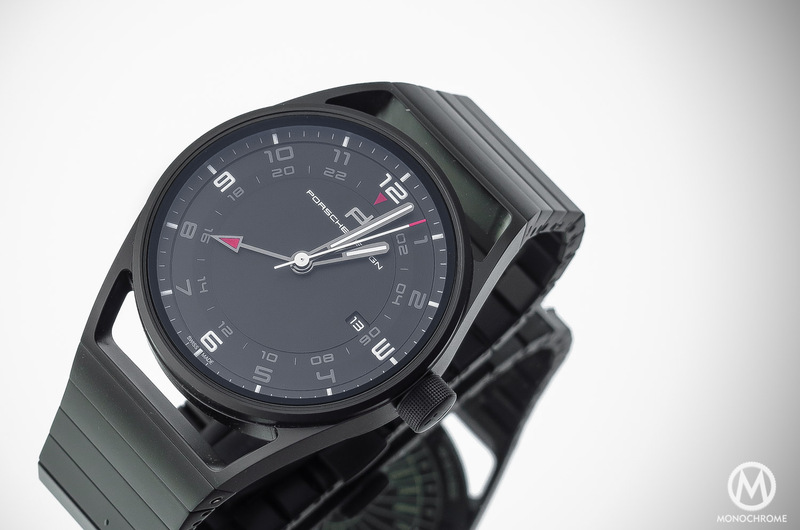 Please have a look at the review we did earlier, for more details on the watch and its design. 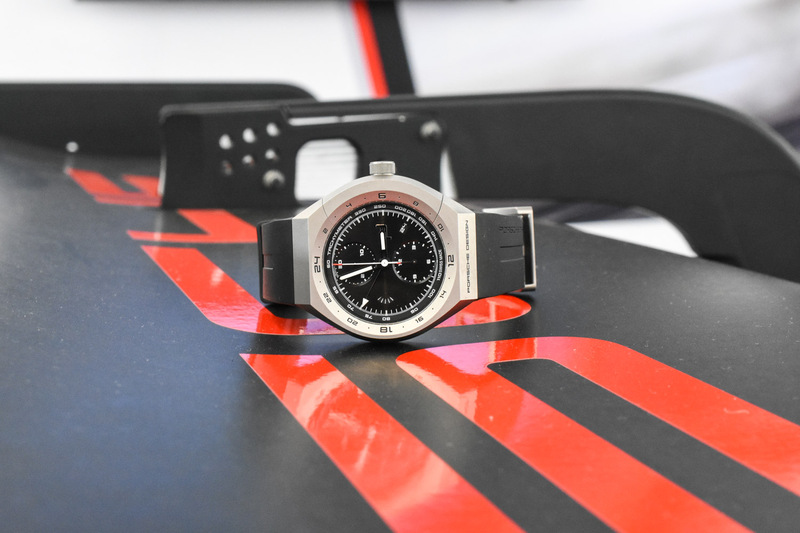 Now the main reason to join Porsche Design in Milan was to see what I thought about the bracelet on the 1919 Chronotimer…. Err, no, that’s nonsense. I could have done that in the office, however, it was nice to experience how it felt on the wrist during my travels to Milan and during the road trip in the mountains around Milan. The bracelet proved to be a very pleasant addition to the collection. Especially in warm weather, when rubber can potentially get a bit sticky, the titanium bracelet always felt… cool. The bracelet is as wide at the lugs as it is at the buckle and it makes a solid impression. Both in looks as well as in built quality. 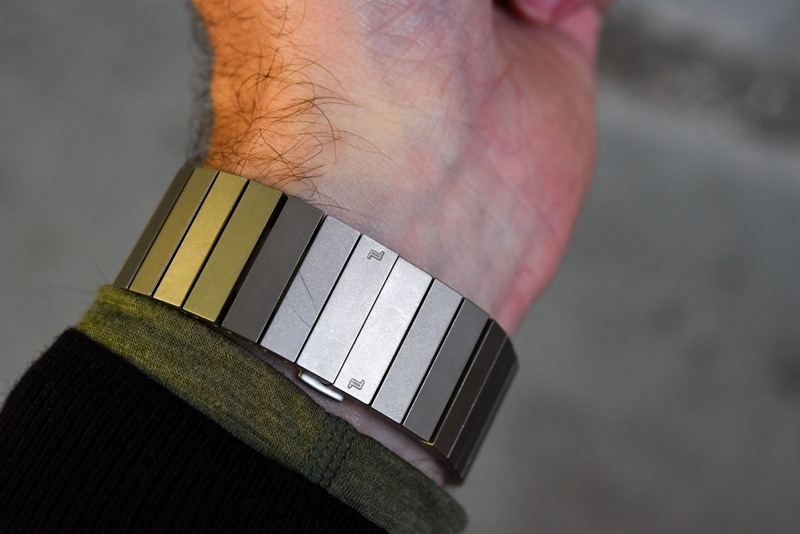 The bracelet is comprised of short (or narrow) links and because of this, the bracelet folds smoothly around the wrist and feels very pleasant. 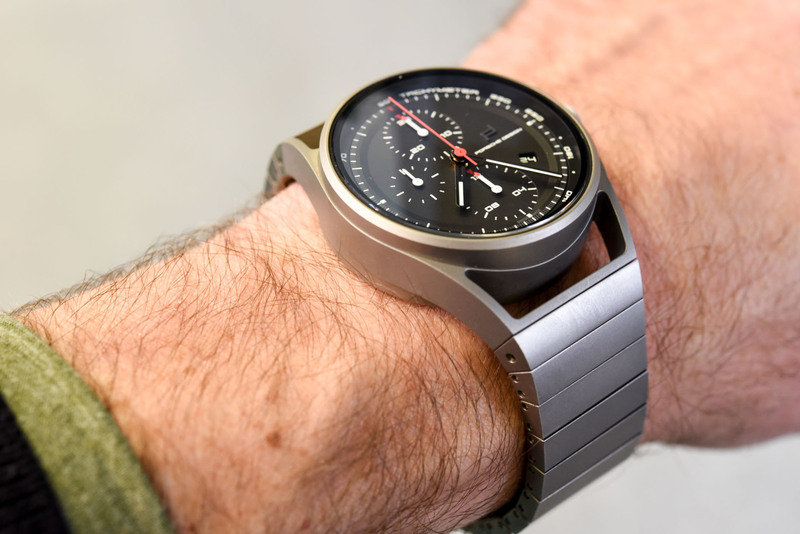 The design reminds of the (by now) classic IWC / Porsche Design Titan Chronograph ref. 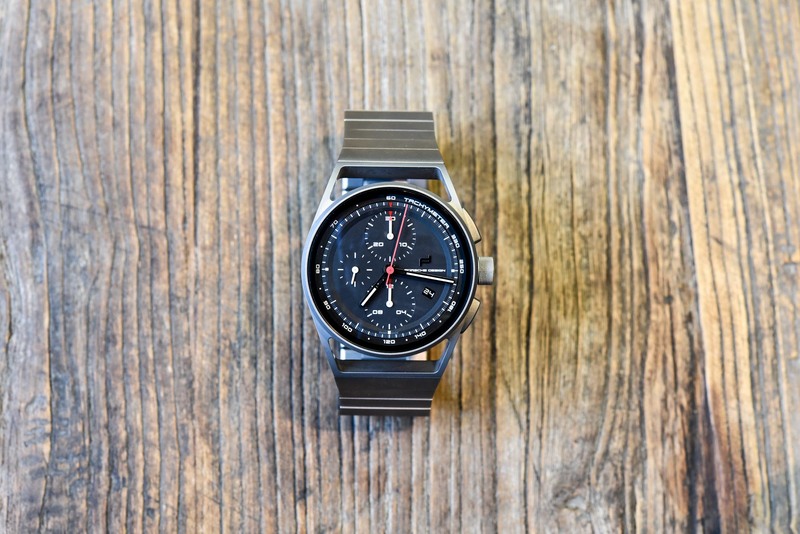 3704, which was once the very first titanium chronograph. Because the links are screwed, it’s fairly easy to size it to your wrist and even when you want to resize, it takes no more than a minute or two to add another link when you need that extra bracelet link for extra comfort. The clasp of the MonoBloc Actuator’s titanium bracelet does come with a fine-adjustment, which is of course even more convenient. 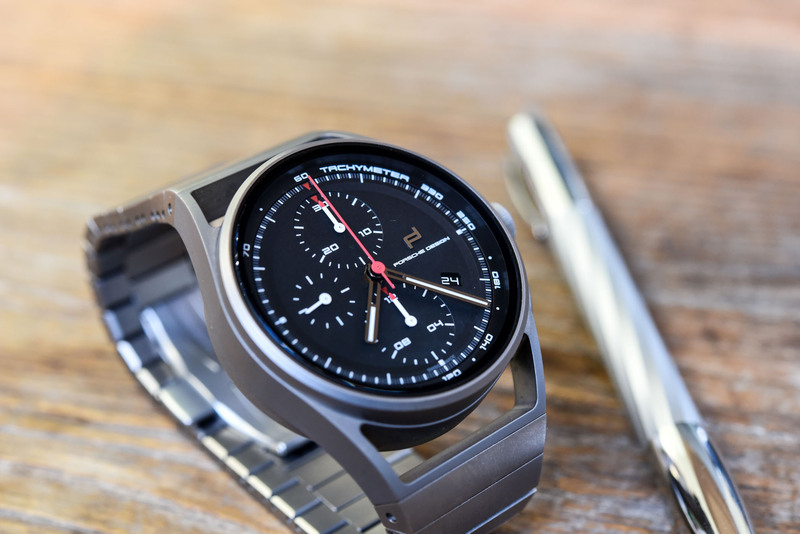 Porsche Design only charges EUR 300 extra for the titanium bracelet, compared to the version on a rubber strap, which is very reasonable. As a proper rookie in the field of sports cars, I was “deflowered” by Porsche when they took me to the far north of Finland to race on ice with pretty much every model in the current collection. Not a bad way to get your first sports car driving experience! Next up was more driving experience, but now on asphalt in and around Milan. 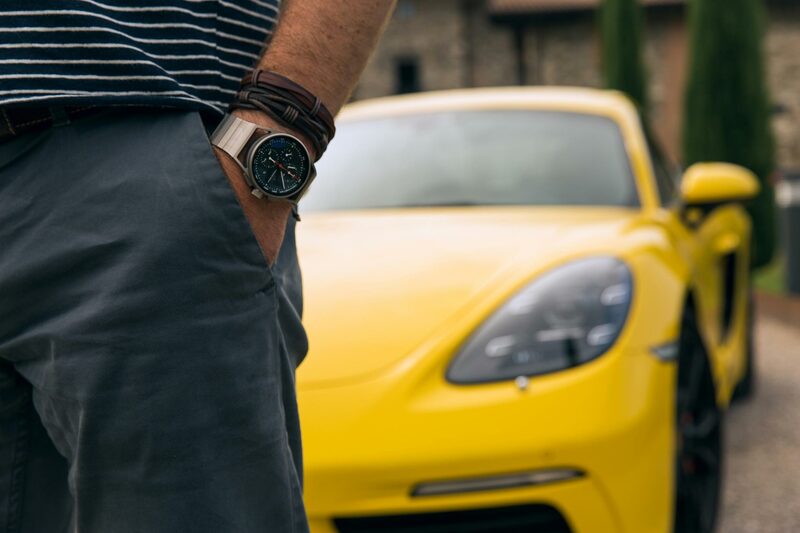 Together with watch blogger Zurab (Swiss Watches) we started the day in a yellow 718 Cayman. The Cayman was a superb car to start the day with, as we mainly had to navigate out of Milan, onto the highway, and we didn’t get to see some nice mountain roads until close to lunchtime. 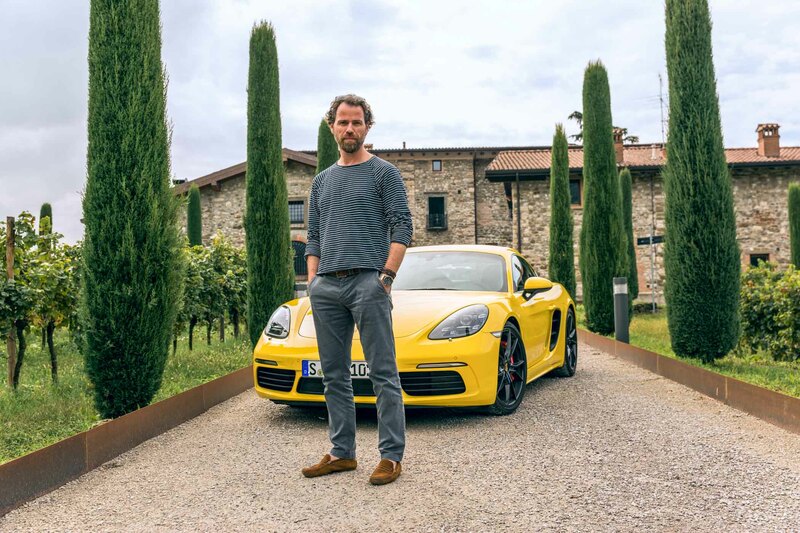 The 718 Boxster is a great ride (!!) and proves to be very easy to handle, both on the highway as well as on smaller and curvier roads in the countryside. The main surprise to me was that it almost felt like a ‘normal’ car when driving in the hectic traffic of Milan and on the highway. Of course, there’s a surplus of power, but it’s all so… gentle. After lunch, I joined Daniel (MagicFox) who had been driving a 911 Targa 4S the entire morning and he generously offered me the driver’s seat for the afternoon. And even better, it was time for mountain roads! Uphill on narrow mountain roads, lots of hairpins and several long tunnels that allowed us to really enjoy the turbo lag! The 911, and especially this 4S, has more power than the Cayman, but still remains a very easy to drive car. 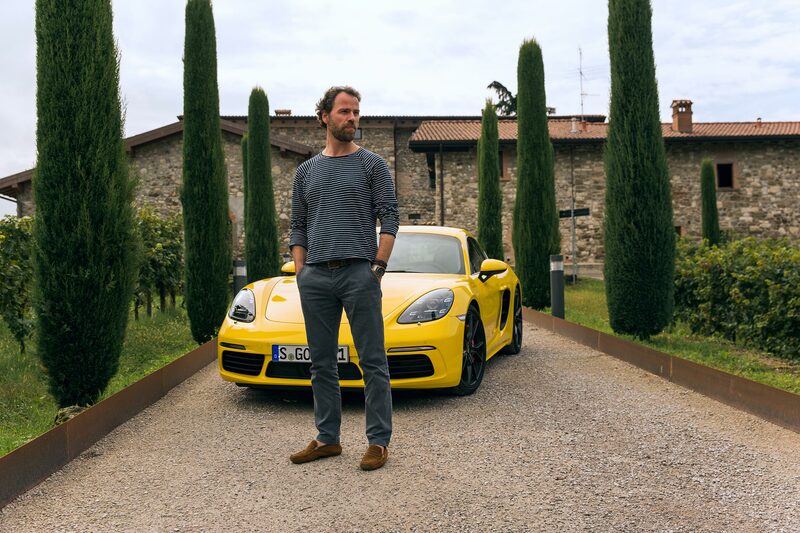 You certainly feel that you’re driving a thoroughbred sports car, but like the Boxster, it’s very comfortable, easy to handle and nothing to remind you of the scary nickname it had in the past. 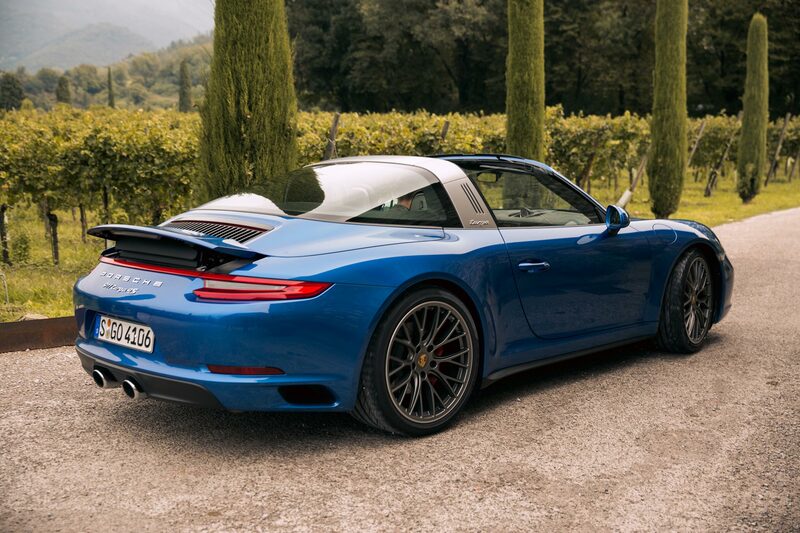 The 911 is, like the 718 Cayman, a perfect daily car for pretty much all conditions. It was a spectacular day, we had tons of fun and I even got to play “Instagram Influencer”. Let’s agree that at 47, I’m way too old for this sh#%, and more importantly, I enjoyed driving much more. Thanks to the team of Porsche Design for a magnificent experience. 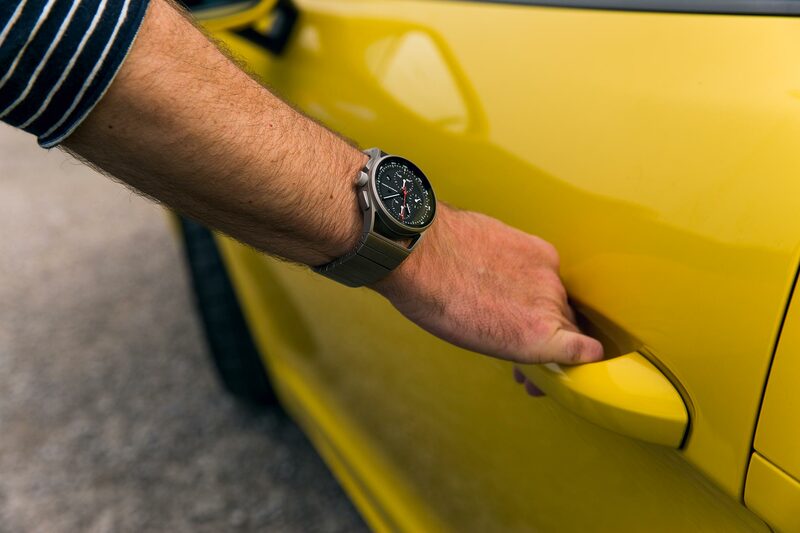 If you’re in for a similar experience or want to give someone a very unique gift (an experience to never forget) then check out the possibilities on the Porsche Driving Experience website here. But I must warn you: it comes with the danger of wanting to buy a 911! As an owner of both a Cayman and 911 over the last decade, your car review illustrates exactly why I’ve soured on the newest models. Too easy, too plush and starting to get a little large. I’d choose a 10 year old 911 or Cayman over these any day.